We’re getting pretty good at this. This loosely knit group convenes each month to taste some wine, see how it pairs with the food we’ve brought in and enjoy each others’ company. 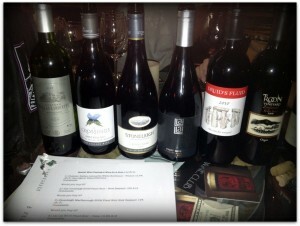 In early March we met and sampled five wines on this wonderful evening. The tasting began with Dry Creek Vineyard’s 2009 DCV3 Sauvignon Blanc. One of the things I enjoy most in a Sauv Blanc is the nose, and unfortunately I found this wine to have a very subtle nose. On the palate I picked up pineapple notes. 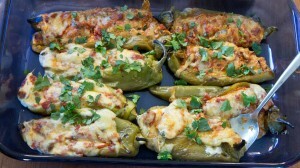 It was well balanced and it paired nicely with Scott’s stuffed Anaheim chiles. At $25, I think it’s on the pricey side. From Sonoma County we meandered to Spain via the 2010 Robaliño Albariño from Rias Baixas. Albariño is a delightful Spanish varietal and this one didn’t disappoint. A very soft wine, it had hints of apple and citrus and it paired very nicely with the tortilla Española I prepared. The group all agreed this would be another good poolside wine and at about $15 it’s priced right. We tasted the 2009 Graffigna Reserve Malbec from San Juan, Argentina. It was a beautiful ruby colored wine with a nice vanilla nose, expressive fruit and great balance. It was an extremely food friendly wine, pairing well with Scott’s stuffed chiles and mini BLTs. At $16, this is another wine I would stock upon. It was the group’s favorite wine of the tasting. We wound up our visit with the 2009 Jacob’s Creek Reserve Cabernet Sauvignon from the Coonawarra region of South Australia. We also tried it in both the Riedel Cabernet glass and in a standard wine glass. This wine really shined in the Riedel glass. There was a lot of vanilla in the nose. It paired quite well with marinated mushrooms and salami. This, too, is a great value at $16. Until next time, cheers! 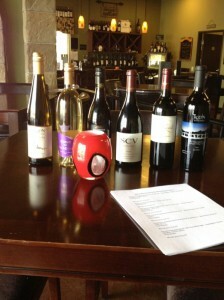 Our intrepid wine tasting crew met again last week, this time at Temecula’s Wine On A Dime. Don and Michelle Campini made us feel right at home and had a table with glasses all set for us when we arrived. 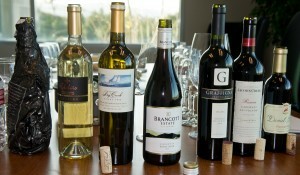 We had another six wines to taste and we started with a white Bordeaux, the 2009 Chateau Ballan-Larquette. A 50/50 blend of Sauvignon Blanc and Semillon, this was was 12.5% ABV. Ken called it a “classic white Bordeaux” and liked its minerality. New to the group, Scott found it “nice, crisp and clean” and felt it would be well suited to Thanksgiving dinner. Jake liked the balance and felt it was a “good sipper.”. I liked it, too, enjoying the soft nose and good balance. At $13, all of us said we would buy it. We moved on to the first of three Pinot Noirs. With Thanksgiving rapidly approaching, many of us will have Pinot at the dinner table. First up was a 2009 offering from New Zealand: The Crossings. I was struck by the pale color and wowed by the nose and the fruit. Scott thought it was very smooth. Ken found it reminiscent of an Oregon Pinot, liked the nose and thought it was a little light. Jake enjoyed the classic Pinot nose and found no flaws. At $19, it was again unanimous, we would all buy this wine. 13% ABV. Wine number three was the 2009 Stoneleigh Marlborough Pinot Noir also from New Zealand. Jake thought it was “flavorless” and overly tannic. Ken didn’t think there was much nose and that the tannins were weak. Scott thought it was okay, but liked The Crossings better. I liked the strawberry nose as well as the mouth feel. At $17, I would buy it, Scott said he might and Jake and Ken would not buy it. ABV was 14%. Our fourth wine and third Pinot was the 201 Llai Llai from Chile weighing in at 13.5% ABV. Jake liked the nose, but found no pronounced flavor. Ken thought it was a good Pinot with red cherry notes. I was put off by the petroleum on the nose. Scott felt it was tight. None would buy it at $13, but Scott conceded he might if all he had was $13. We tasted two more wines from Troon Vineyard in Southern Oregon. The 2010 Druid’s Fluid is a blend of Merlot, Syrah, Cabernet Sauvignon and Zinfandel. I thought there wasn’t much nose and it was too sweet for my palate. Ken called it a “typical fruit bomb.” Scott, too, found it very sweet but thought it might work as a dessert wine. Jake thought it might be better chilled and wouldn’t mind having it available for company with a sweeter palate. The suggested retail is $18. None of us would buy it. The final wine was Troon’s 2009 Kubli Bench Zinfandel, 14.5% ABV. Jake liked the nose but felt the finish was disappointing. Ken said it “doesn’t have the backbone I associate with Zin.” Scott didn’t feel it measured up to California Zins and I thought the nose was musty. Neither Ken, Scott or I would spend the suggested $24 for it. Jake thought he might spend $15 for it. Tasting wine is one of the things we do and just last week I called a meeting of my trusted companions at The Wine Company in Temecula and that’s precisely what we did. We tackled six wines one fine afternoon, starting in Oregon and working our way through Italy, Australia, France and California before finally winding up back in Oregon. Here’s what we thought. I liked this wine and was captivated by the aroma of apples. Brights acids and a lingering finish. I’d buy it, as would two others who tasted it. A few others were put off by the nose. Mike thought it smelled of nutty oxidation. Michael thought the apple aromas were too much. Jack and Sue commented the nose was “funny.” One said they might buy it, another that they probably wouldn’t with the remaining seven saying they would pass on it. “A pool/patio sipper” said Jan who found it light and easy drinking and a good value. I found it well balanced. “A simple quaffer” thought Mike. Amy thought it was “unmemorable.” Jim thought it was flat with little character. Six would buy it, three would not, two were undecided. Most of the group were impressed by the value. Michael noted berries on the nose and called it an “everyday Pinot.” Jake picked up cranberry and pronounced tannins and didn’t care for it. I liked the nose, found it not too complex but perfect for the price. Mike got cherry cola and leather on the nose and thought it had good acidity. Seven would buy it, two wouldn’t and Ken said he might. Jan felt it had a great nose with distinct herbal notes. Mike found rose petals and a bit of sage on the nose and thought it had a nice finish. Jim liked the color and nose and thought it was full bodied. I liked the balance and the finish. Ken “really liked it” and thought it had excellent balance with a dark cherry nose. Six would buy it, two would not and two found it a bit pricey. To be fair, this may have been a bad bottle. Sue and Jack said it was “stinky.” Michael said it smelled musty. No one like the nose and none of us would purchase this wine. Jake felt it was raisiny and port-like on the nose and that it finished too quickly. Ken found it fruit forward with good tannic structure and dark cherries and thought it was excellent. Sue and Jack thought it was delicious and complex. Two would buy it, two other would if it were at a lower price and the rest of the group said they would pass on it. Moldova lies between Romania and Ukraine. A part of the now dissolved Soviet Union, this land locked state produces an exquisite vodka – Exclusiv Vodca. I received three bottles to sample. On its own or mixed, this is an easy vodka to like. I stuck the orange and raspberry vodkas in the freezer. Both straight up in a shot glass at the end of a meal are a real treat. This is clearly premium vodka, but the price tag is anything but. You should be able to find it easily for under $15 a bottle. Cheers! James Concannon planted his first vines in the Livermore valley back in 1883, making Livermore one of the oldest wine producing regions in California. When James Concannon planted white Bordeaux cuttings in the late 1800s, they became one of the first wineries to make Bordeaux-style wines in California. In March 2010 they were one of the only seventeen wineries to be certified by the California Sustainable Winegrowing Alliance, which recognizes commitment to environmental stewardship, conservation of natural resources and socially equitable business practices. The Conservancy wine tier is sourced 100% from Livermore Valley vineyards set aside in a conservation trust to protect them forever from urban development. The Petite Sirah has deep black fruits with notes of spice intermingled with some light herb notes. It is full and round in the mouth and has a soft supple texture. Plus, if you are an oak fan there is plenty of that for you to enjoy along with all of the other components. Over the past 10 years, Cameron Hughes has built a reputation for providing consumers with great wine values through his unique approach to the market. A short time ago I had a chance to sample some of his wines. A blend of 60% Cabernet, 30% Cabernet Franc, and 10% Merlot this wine bursts with fruit. There are copious amounts of black berry and black cherry on the nose along with some toasty oak. It is full bodied and a bit chewy although I did feel that it was a bit short on the finish. Blended with 5% Malbec aromas of ripe, dark fruit with a touch of sweet vanilla occupy the forward bouquet. The wine offers deeper flavors of blueberry on the palate. It finishes with toasty oak and notes of vanilla. 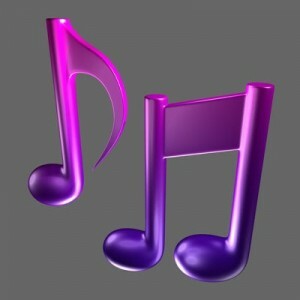 Dark purple-red in color. This wine shows a complex nose of dark fruits, mostly blackberry and currant. Balanced acidity plays off dark fruits on the palate within a firm tannic structure. More then 30 years ago Jerry Lohr started looking at possible vineyard sites in the central coast. This of course, was long before the area became well known for producing great wines. Selecting the Arroyo Seco appellation of Monterey County for his first vineyard, Jerry planted his original 280 acres of varietal grapes in 1972 and 1973, and unveiled his San Jose winery in 1974. Today, J. Lohr Vineyards & Wines includes more than 900 acres of cool-climate estate vineyards in Monterey County, with an emphasis on Chardonnay, Riesling, Valdiguié and Pinot Noir, 2,000 acres in Paso Robles dedicated to Cabernet, Merlot, Syrah, Petite Sirah and other red varietals, and 33 acres in Napa Valley, highlighting Cabernet and Sauvignon Blanc. 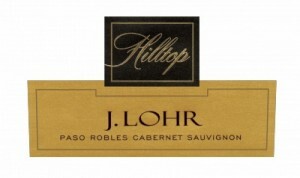 Not to be confused with the 7 Oaks wine the J. Lohr Hilltop is a blend of 80% Cabernet Sauvignon, 6% Petite Sirah, 4% Malbec, 4% Merlot, 3% Petit Verdot, 3% Cabernet Franc. This wine spends 18 months in oak and the an additional 11 months in bottle before release. The wine is a beautiful dark color with hints of purple. It is amazingly rich and supple in the mouth with notes of coffee, chocolate, vanilla, and ripe berries. If you have never had the Hilltop from J. Lohr, I strongly urge you to go out and find some. Believe me you will love it when you try it, and it’s only about $35. James Concannon planted his first vines in the Livermore valley back in 1883. Yes, I said 1883 making Livermore one of the oldest wine producing regions in California. Livermore is considered the easternmost city in the Bay Area before entrance to the Central Valley. 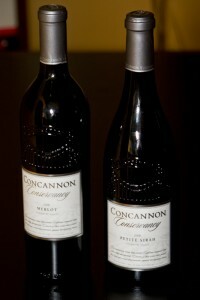 Concannon is the first successful winery to be founded by an Irish immigrant. When James Concannon planted white Bordeaux cuttings in the late 1800s, they became one of the first wineries to make Bordeaux-style wines in California. In March 2010 they were one of the only seventeen wineries to be certified by the California Sustainable Winegrowing Alliance, which recognizes commitment to environmental stewardship, conservation of natural resources and socially equitable business practices. The 2008 Merlot comes in at a mere 13.9% alcohol which is low for California wines these days with so many reaching 14.5% or higher. I found notes of minerals, candied red fruits, plums, and chocolate on the nose. This wine has good body with the fruit intermingling very well with both the acid and tannin. I have to admit I was quite impressed with this wine and for under $20 it is a great buy. Every now and then I come across a wine that for one reason or another knocks my socks off. 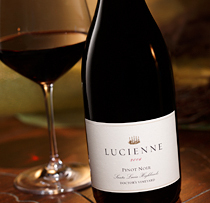 The Lucienne Pinot Noir did just that the first time I tried it a few weeks ago. Lucienne is a new bottling (first vintage was in 2005) owned by the same people who bring you Smith and Hook and Hahn wines so it’s not to surprising that it is as good as it was. What shocked me though was the balance that the wine possessed. You see one of the first things I do when I look at California Pinots is check the alcohol content. It has been my experience that so many are very high in alcohol and because of that are quite out of balance. They will often have really sappy fruit and no backbone for a finish. The 07 Lucienne has an alcohol of 14.8% which for me is rather high but, being that I had never had it I decided to try it anyway and I am glad I did. A good friend of mine (who is a huge Pinot fan) and I opened the bottle not expecting much and fortunately we were both greatly surprised. This lovely wine shows aromas of wild cherry, juicy raspberry and hints of leather interlaced with bright pomegranate and earthy mushroom flavors. It was not hot at all which was what I was expecting and, it had a wonderful smooth rich finish with enough acid on the finish that made it very pleasant. This wine is one of the many reasons why I love wine so much. No matter how experienced you are or how many different wines you have had in the past there will always be those that give you far more then you expect. You can find this wine at Wine on a Dime in Temecula for $24.95 which is a heck of a deal considering the list retail price is $50.00. As a wine writer, I often receive bottles for review. At the end of last years, I received a box with 11 different wines from The Other Guys, whose brands include Pennywise, Moobuzz, Hey Mambo and Plungerhead. As we were into the holiday season, a light bulb went on: why not have a wine tasting party and let our guests help review the wines. That’s exactly what we did. We started with the 2009 Hey Mambo Swanky White. I like this wine a lot and so did our guests. A refreshing blend of Viognier, Sauvignon Blanc, Muscat Canelli and Chenin Blanc, it’s fruit forward with being cloying. Guests found it light, buttery and with a nice finish. At around $10, I say grab some! The next wine was Moobuzz 2009 Monterey Chardonnay. Aged four months on French oak staves, our guests weren’t wild about this one, noting “not much varietal character” and a “slightly metallic aftertaste”. A few enjoyed the nose. This one is available at under $15. We moved on to another Chardonnay, the 2008 Pennywise. I found it to be well balanced. Guests liked it, calling it “wonderful”, “refreshing” and noticing citrus on the nose. Look for this wine in the $10 range. It was time to taste reds and we had eight of them, starting with the 2008 Moobuzz Monterey Pinot Noir. An exceptional value at right around $15, guests decribed it as “bright”, “concentrated”, “loved it” and liked the finish. Most said they would buy it. Next up was the 2008 Pennywise Pinot Noir. Guests found it lighter than the previous Pinot, with a couple people noting its softness and calling it “easy drinking”. Again, about ten bucks a bottle. Hey Mambo’s 2008 Sultry Red was the next offering, an interesting blend of Syrah, Zinfandel, Barbera, Petite Sirah and Alicante Bouchet. One taster picked up apple on the nose, another picked up cherry. One called it a great pasta wine. I liked the blend a lot and thought it was very well balanced. At around $10 a bottle, I say stock up! The Pennywise 2008 Merlot was the next wine tasted. From four different regions in California, this wine has a bit of Syrah, Ruby Cab and Petite Verdot blended in. One person said “I’m not a big Merlot fan generally, but I’d buy this”. Another called it simply “wonderful.” It’s under $10 a bottle. We tasted another Pennywise wine, the 2008 Cabernet Sauvignon. One guest complimented the true varietal taste, another called it fruit forward and a good dinner party Cab. A few found the finish to be lacking. It’s priced right around ten bucks. We had two Zins to taste, Plungerhead’s 2009 Lodi Zin being the first. 2% Syrah is blended into it. One guest thought it need more time in barrel, another found it “okay, but not memorable”. You should be able to find it for $10 or less. The 2008 Plungerhead Dry Creek Valley Zinfandel was up next and our guests clearly preferred it. Very small amounts of Cabernet, Merlot and Malbec are blended in. One person said it was “peppery (a Zin lover’s erection)” while another found it “excellent” and well structured. This wine is right around $15. Our final wine of the night was another Pennywise wine, their 2008 Petite Sirah. From Lodi, this wine has 11% Syrah. The decriptions continued to get more interesting. “Covers the whole palate in grapey goodness. Luscious!” said one friend. Another simply said “yummy – would buy”. You can purchase it for around $10. This was a very fun evening and I hope we do it again! While many of you may not have heard of Tenuta San Guido, those of you Italian wine fans may have heard of the great super Tuscan wine called Sassacaia. Tenuta San Guido is the producer of that great wine. In 2000, they started to produce Guidalberto. It is a blend of Merlot, Sangiovese, and 50% Cabernet. Some of the Cabernet comes from 5 year old vines and the rest comes from the same vineyards that produce the illustrious Sassacaia. Both the Merlot and Cabernet go through a maceration (the amount of time the juice stays in contact with its skins so as to extract color) period of 15 days while the Sangiovese goes through it in 12. The wine is then aged in French and American oak 30% new and 70 percent of which are from prior vintages’ use for Sassicaia. This beautifully balanced wine is strongly marked by sweet fruit character, with impressions of ripe, concentrated berries in the aroma offset by restrained notes of spice, vanilla and cedar. These carry onto the palate, which shows an elegantly supple texture supported by ripe, silky tannins, ending in a long, refined finish. I strongly urge decanting this wine for at least 30 minutes. Best of all you will not have to pay the $160 to $180 like you would for Sassacaia. It retails for around $44 – $50 and at that price I think it’s a great deal. Go out and pick one up for yourself. Box wines? You’re kidding me, right? I’ll admit, I raised an eyebrow or two when I first encountered wines from Octavin. However, keeping in mind our slogan, “we’re not wine snobs, we just like good wine”, I decided to approach it with an open mind. I sampled both the 2009 Silver Birch Sauvignon Blanc from Marlborough, New Zealand and the 2008 Boho Vineyards California Old Vine Zinfandel. You know what? They’re pretty good. I don’t think Robert Parker will be giving them 90+ ratings, but they are both extremely drinkable wines at a value price, about $24 for a 3.0 liter box, which translates to $8 for 750ml. 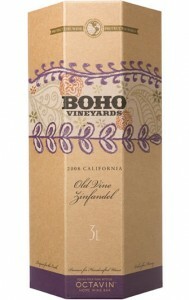 The Zin is aged in American oak, has a characteristic nose for the varietal and some plum on the palate. 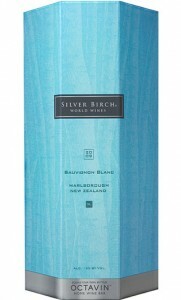 The Sauvignon Blanc is crisp with green apple and kiwi and a very nice finish. I was curious about their claims of the wines lasting at least six weeks, so I held on to them and tasted them again at the six week mark. Both wines tasted just as good as when I opened them. If I hadn’t been reviewing them, however, they would have been consumed well before them. Suffice it to say I was very pleasantly surprised. I like when that happens! Jordan winery produced their first Cabernet back in 1976. Tom Jordan, who was a geologist, planted his first vineyards in the Alexander Valley back in the early 1970s. Tom also hired the great Andre’ Tchelistcheff (considered buy many the father of winemaking in California) as his winemaking consultant in 1976. The first Chardonnay vintage was the 1979 vintage which was released in 1981. Jordan is one of the most recognized wine labels in the U.S. mainly due to their prominence on many restaurant wine lists. Their wines are typically soft and easy to drink which makes them an excellent choice from any wine list. 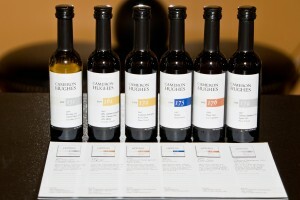 In addition, they also hold their Cabernet for 4 years before release where many others release their wine after only 2. The extra time in the bottle allows the wine to settle and soften. The 2008 Chardonnay from the Russian River was aged for 4 and a half months in French oak, 55% of which was new. On the nose I found notes of vanilla, cream, toast, and a touch of granny smith apple. Once in the mouth I also picked up flavors of citrus, minerals and oak. While the wine has a little too much oak up front for my taste it also leads me to believe that if one were to hold on to it for 2 or 3 years it has the makings of becoming a rich, round, and exciting wine. One I think I will have to keep and try for myself. Jordan Chardonnay retails for around $30 a bottle. Enjoy. Monte Antico (which, incidentally, means “ancient mountain”) comes from choice hillside vineyards on diverse soils – compact, very fine-textured limestone, at an altitude of 400-450 meters above sea level; the classic, clayey/calcareous, rocky galestro, also at altitudes around 400 meters; and clayey/siliceous/calcareous soil, at an altitude of 250-300 meters: a cross-section of Tuscany’s best. The wine is 75 percent Sangiovese, 15 percent Merlot and 10 percent Cabernet Sauvignon. It is made from 25-year-old vines minimum, mostly from Pisa, Maremma and Chianti Classico areas. One of the things I like best about this wine is its consistency from year to year. There are notes of bright plum and dried cherry flavors coupled with fine tannins and a nice floral component. This wine is medium to full-bodied with a nice finish. 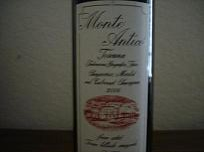 Best of all is the price which should be around $10 – $13 which means everyone can enjoy a bottle of Monte Antico. 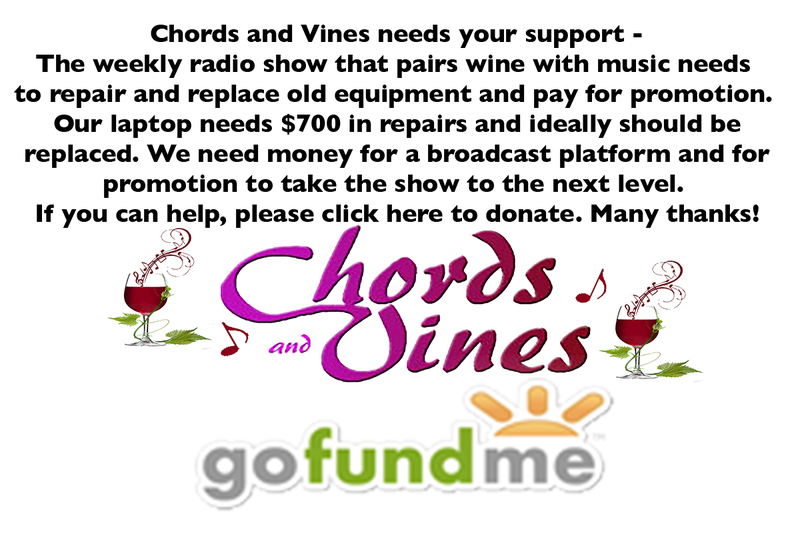 So check with your local wine merchant or your favorite market and pick one up. Believe me you will enjoy every drop of this wine. We are delighted to add the expertise and insights of Jim Lilly, CSW to our crew. He will be contributing tasting notes on a regular basis. Just the other day I was with some friends celebrating one of their birthdays and I decided to bring a bottle of wine with me to share. As I looked through my cabinet, I came across a wine that I had not tried for many years so I thought I would bring it with me. As you can see by the title it is quite a mouthful and yet there are only 4 things that you will need to remember. First, the vintage 1990, second the producer Brunel, third, the region Chateauneuf du Pape, and finally, Cuvée Centenaire which means that the wine was made from a blend of grapes averaging 100 years old. Made primarily from Grenache, Syrah and Mourvedre this wine certainly did not disappoint. It took about 20 minutes after opening the bottle for most of the bottle stink to blow off (yes that is typical for older wines) before the wine started to reveal itself. A very pretty nose of wood, herbs and spices which was followed by some sweet red fruits, a touch of white pepper, light smokiness, and a beautiful long finish. My friends and I drank this wine over an hour or more and it just kept getting better as it continued to open. Its wines like this that remind me why I chose the wine business as a profession, and also why it’s important to share amongst friends so that all can appreciate and discuss our likes and dislikes. Maybe it’s just me, but you’ve got to love a winery that adorns their corks with “Who’s Your Poppy?” You see, Coquelicot (pronounced ko-klee-co) is French for poppy. This extraordinary wine from the Santa Ynez Valley will take your breath away. The color, for starters, is sublime: inky, deep purple. It looks elegant. The nose draws you in. I took several deep smells before I even began to taste it. Once I did, however, I was hooked. The expression of fruit is remarkable. It explodes in your mouth without being overpowering. I picked up plum and black cherries. It’s beautifully balanced and the finish lingers delightfully. It gained a silver medal in the San Francisco Chronicle’s Wine Competition and 93 points from Wine Enthusiast. At $45 (you can probably find it for less) grab yourself at least one bottle. You won’t regret it. Curtis Lonen founded Jocelyn Lonen Winery in 1996 with the idea of producing world class wines. He moved his wife Susan and daughter Brandi to the Napa Valley the following year. Curtis passed away in 2004, but I met his widow Susan recently at a tasting in San Diego. My wife and I and four of our friends shared a bottle of the ’08 Jocelyn Lonen Carneros Chardonnay on a warm evening with some appetizers a few days ago. The first thing to strike me was its beautiful, golden color. On the nose I picked up lemon and apples and on drinking it I was impressed by its clean taste and lingering finish. There were a few members of the ABC (Anything But Chardonnay) contingent among us, but even they were impressed by how good this wine was. It was barelled in 100% French Oak, 50% new and and spent just the right amount of time on oak, imparting a classic buttery taste without being over-oaked. At $26, I would recommend this without hesitation. The ’97 Steltzner Vineyard’s Stags Leap District, Barrel Select Reserve Cabernet Sauvignon was a treat after a long day at work. The dark cherry, leather, and earthy aromas fill the nose and finished off with light menthol, herbal notes. The flavors included dark cherry and berry, but finished off with chocolate and coffee. 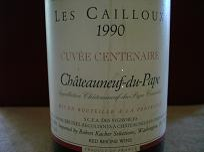 This ’97 had soft to medium tannins, which allowed the fruit to hang long on the palate for about 45 seconds. This wine should hold up for another five to seven years, but is ready to drink now. The wine is an indication of the quality that was coming out of the Stags Leap district in ’97. This wine was a winner for about $75.00 at the Temecula Wine Company, since there is very little availability on the retail market. Although the rating of this wine was not found, it is likely that it would rate in the low 90’s, possibly mid 90’s because of the level of complexity that this wine expressed. If available, this would be a perfect fit for most palates that prefer Bordeaux wines, even though it is 100% Cabernet Sauvignon. The alcohol was 13% and still had a little extra acidity left to pair with food and should go well with higher fat red meats. Finishing this wine was more of a disappointment, since there is no more left to drink. Seems that another Napa ’96 or ’97 will have to be found, guess the hunting will continue. Just as Rome has its Coliseum, and Venice its canals, the many regions of Italy have distinctive grape varietals which are landmarks all their own. From Piedmont: Nebbiolo. 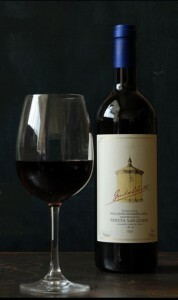 From Tuscany: Sangiovese, the star of such favorites as Chianti Classico. I recently tasted examples of both regional offerings: a 2004 Ramale Nebbiolo by Torraccia del Piantavigna (Piedmont) and a 2005 Chianti Classico by Poggio Basso (Tuscany). Initially tight out of the bottle, the Ramale Nebbiolo quickly opened up to release a bouquet of strawberry, cherry, plum and a slight tobacco typical of the Piedmont region. Also present on the nose was a nice, subtle smoked meat. The initial palate followed suit with tart cherry and plum carried over from the nose, joined quickly by soft cranberry and tannic structure. This Piedmont classic closed with subdued minerals and spice, the cranberry developing into a tart citrus. Throughout, the wine presented drier than its 12.5% ABV would suggest. Showcasing Sangiovese, the Poggio Basso Chianti Classico offered a familiar nose: strawberry and spice with subtle leather coming through. On the palate, the experience was much the same with classic Sangiovese strawberries and spice. The Chianti finished cleanly with a crisp dryness and approachable structure. Varying greatly as the Italian countryside evolves, the regional specialties of Italy take on as many different characteristics as the land itself. The above are but two examples of the landmark, regional wines, the exploration of which could take a lifetime…but what a rewarding life it would be! New world vines often breathe new life into old world varietals, offering a fresh take on time tested standards. This is true of two wines I recently enjoyed: a 2003, 100% varietal Cabernet Sauvignon by Vina Robles (San Miguel/ Paso Robles, CA) and a 2007, 100% varietal Malbec by Masia de Yabar (Temecula, CA). Straight out of the bottle, the Vina Robles Cabernet presented beautifully with a complex, yet subtle, bouquet of dark berries, bitter cocoa and rich English pipe tobacco. The complexity of the nose carried over onto the palate which saw beautifully developed tannins and a deep, rich fruit typical of Paso’s treatment of old world mainstays like Cabernet Sauvignon. To finish, this exciting wine offered bold espresso and cocoa, and even hinted at pepper and spice. Equally inspired by the new world treatment, Masia de Yabar’s Malbec is a world away from the meager, overlooked blending grape of its Bordeaux past. Imported from Argentina- where the varietal reaches its peak- these grapes were brought to life by the Temecula winery to create a wine which offered a bouquet of ripe fruit and floral notes, rounded out by soft vanilla (from its partially American Oak aging). The palate expressed berries and spice, and finished crisply with sweet, gentle tannins. At 13.8% ABV, this was a structured and balanced offering. Though from varied geographical origins, these two wines showed just what can result from a new perspective on classic varietals. The grape is the same; it is the development and presentation which adapt. I recently enjoyed two wines perfectly suited to these warm, Summer months: a 100% varietal Viognier by Villicana (Paso Robles) and a 53% Viognier/ 47% Marsanne by Treana (Paso Robles). Both offerings were vintage 2007. The Villicana presented like a Viognier should, with a nose consisting mainly of green apples and citrus. 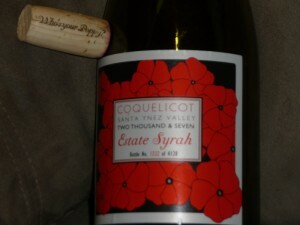 A light minerality and floral notes rounded out the bouquet. The initial palate saw the apples and minerals carry over from the nose, and the wine finished with subtle pear and citrus, making for a truly refreshing summer wine. More complex, and equally enjoyable, was the Treana. This wine opened wirh a lovely bouquet of ripe Summer berries and stone fruits, hinting also at soft minerals and floral notes. On the palate, the Treana expressed bold dried fruits (especially apricot) on a wonderfully balanced canvas of ripe summer berries, soft minerals and citrus. The intriguing finish saw hints of almond and even allusions to white pepper and spice. The Treana was beautifully structured throughout. Both the 100% Viognier offering from Villicana and the Viognier/Marsanne from treana were beautifullly executed wines, perfect for pairing with light, grilled Summer fair or for sipping on their own one a warm day.